Filed Under All That Is, Buddhism, duality, pantheism, Progressive Christianity, Taoism, Vedanta, what is duality? 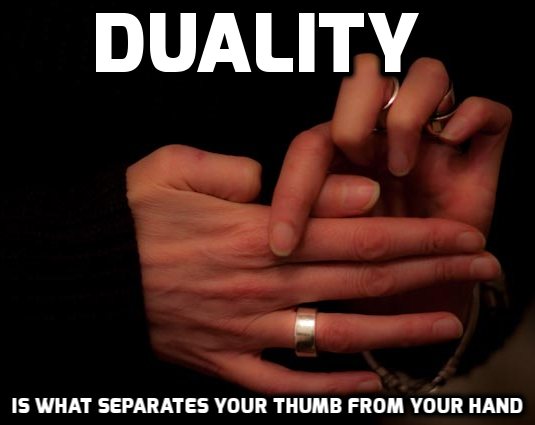 Duality is a slight of hand. It is a line drawn in the sand where none exists. It is the parsing of All That Is into distinct thought-concepts that hide from the part its concurrent existence as the Whole. It is the subjective narrowing of attention upon an object, shrinking its full context, and ignoring the ground connecting it to the subject. Reality unveils the connections we trick ourselves out of seeing. It makes a game of the lines we draw upon it. It reminds us that thought-concepts are only limitations of the thinker, not of the world through which our thoughts ripple like waves on the surface of the ocean. It pans back and shows us that everything we analyze in isolation are aspects of a context that includes the whole Universe, enveloped by and filled with infinite ground of Existence, and we are That. Reality is the Garden of Eden. It is Brahman. It is Buddha-mind. It is the Uncarved Block. 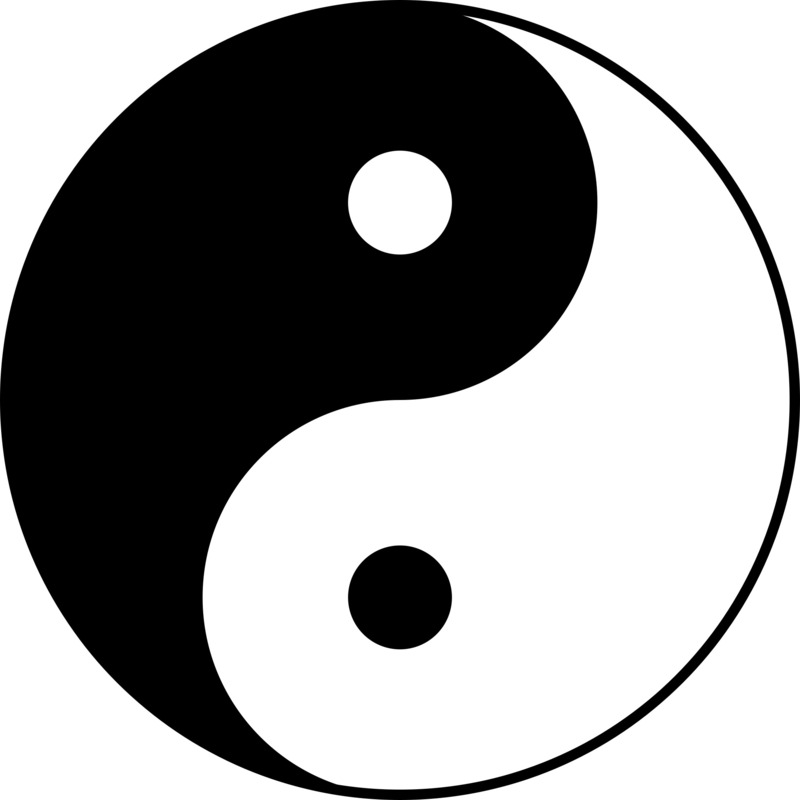 Duality is the result of all of us taking the fruit of the Tree of the Knowledge of Good and Evil at birth. It is the state of sinfulness. It is maya. It is dukkha. It is disharmony with Tao. Seeing through duality to the direct perception of Reality is a release from thinking of oneself as a separate being in the universe, and a knowing of oneself as a unique manifestation of the Eternal. It is salvation. It is moksha. It is bodhi. It is the de of action in harmony with Tao. Reality is what we remember intuitively after losing touch with it in our thoughts, and returning to what we never truly left. It is Heaven. It is Satcitananda. It is Nirvana. It is Tao. 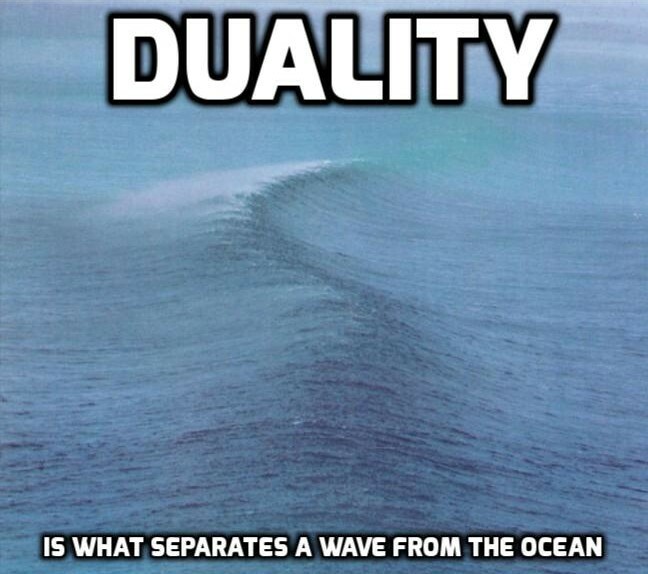 These are all fancy ways of saying one thing: Duality is a grand tour of all that appears to be. 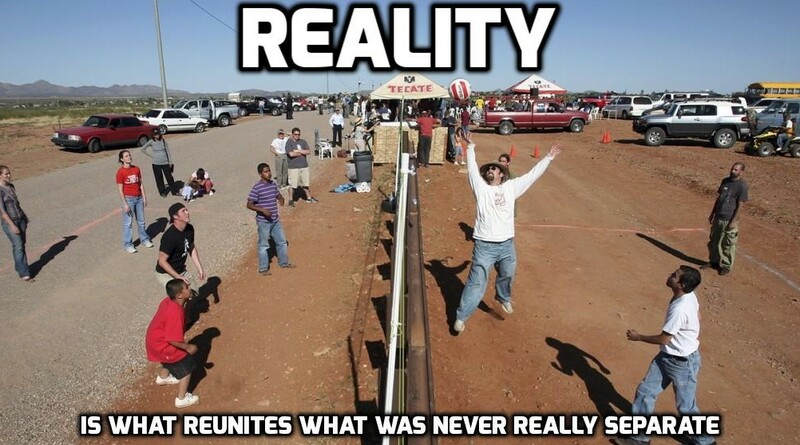 Reality is All That Is. Enjoy the tour; never forget where it is leading you. Two swirling opposites, and one whole unbroken circle –which do you see first? 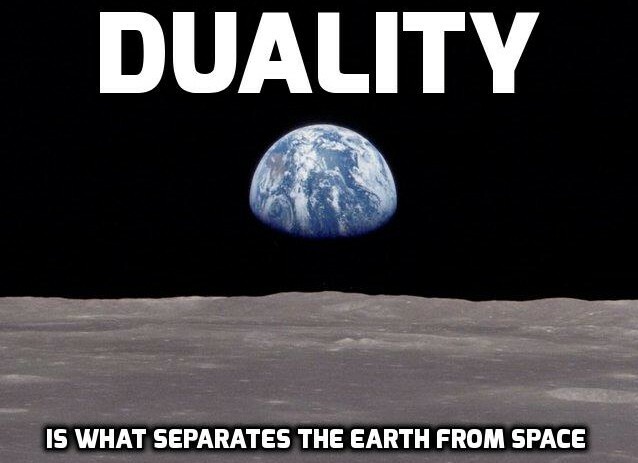 Yes, the separation is a figment of imagination. 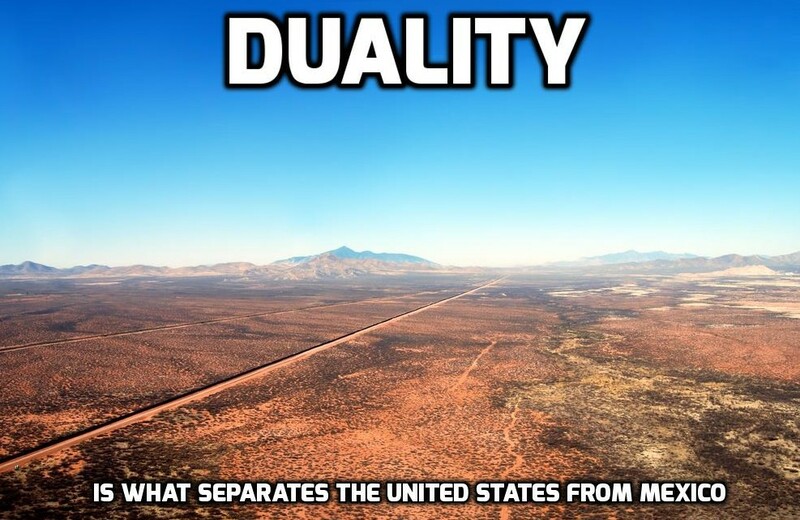 No separation truly exists. 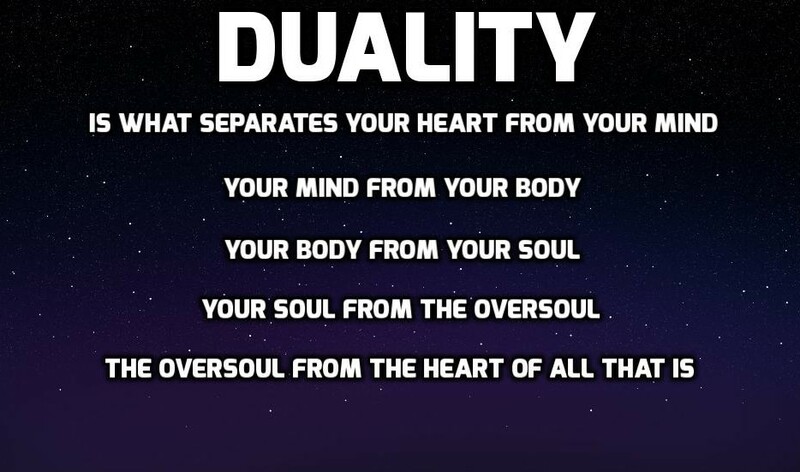 Duality is an illusion. We are in nonduality and have always lived in nonduality.